ELM SPRINGS (KFSM) – The chief executive officer of a Texas-based company that has proposed building a wind farm on 300 acres in Elm Springs addressed his past embezzling conviction Thursday (Nov. 19). Jody Douglas Davis is the CEO of Dragonfly Industries International, LLC. On Aug. 10, 2009 he pleaded guilty to 18 counts of wire fraud and 64 counts of money laundering in the U.S. District Court for the Northern District of Oklahoma. Upon sentencing 46 counts of money laundering were dropped and Davis was sentenced to a little over three years in federal prison. Davis was released July 18, 2011 and was put on supervised release until July 17, 2014, according to records from the Federal Bureau of Prisons. Davis embezzled $1,153,627 from Windsong Marketing, LLC, Newsong Assembly and Buyers Assistance, LLC, according to a federal indictment. All three companies were involved in home-buying assistance and Davis was employed as an account executive from about August 2003 to February 2005, the indictment states. Windsong, Newsong and Buyers would advance money to help home buyers in meeting their financial obligations for their home purchases. When the home purchase was completed, the seller of the home would send Windsong, Newsong and Buyers an amount that equaled or exceeded that which had been advanced to the home buyer. If the sale failed completely, then the home buyer would be obligated to return the amount which had been advanced to him or her to purchase the home. From January 2004 to February 2005, Davis would contact home buyers and sellers and instruct them to wire transfer the money that was supposed to be returned to Newsong, Windsong and Buyers to a bank account he had set up at First Pryority Bank in Pryor, Oklahoma instead of wiring the money into bank accounts belonging to Newsong, Windsong and Buyers, according to the indictment. Davis had listed the account at First Pryority Bank as belonging to Autos, Inc. even though Davis was not in the business of vehicle sales or servicing, the indictment states. Davis used the money sent to the Auto, Inc. account to settle prior debts, as well as to purchase vehicles, real estate, building and property improvements, boats, personal water craft, all-terrain vehicles, tractors and jewelry, including a diamond ring and earrings, according to the indictment. As part of his plea agreement Davis must make restitution to his victims. Newsong, Windsong and Buyers were owned by Gayle Towry before the companies were dissolved, according to court documents. Upon Towry’s death in December 2009, just months after Davis’ guilty plea, restitution payments were transferred to one of his children, Kenneth Towry. Kenneth Towry spoke with 5NEWS about the case and identified the Jody Davis pictured in the photograph on the Dragonfly Industries website as the same man who embezzled money from his father. Towry said of the amount Davis has been order to pay back, he has seen about $1,000 so far. Towry’s attorney also confirmed the CEO of Dragonfly Industries and the man who defrauded his client were the same person. Federal court documents show jurisdiction over Davis’ 2009 case was transferred from the U.S. District Court for the Northern District of Oklahoma to the U.S. District Court for the Eastern District of Arkansas in August 2012. Documents filed with the Texas Secretary of State’s office show Dragonfly Industries International, LLC filed its certificate of formation Sept. 5, 2014. The registered agent on the formation form is listed as Nadine R. King-Mays, an attorney based out of Dallas, Texas. On a Texas Franchise Tax Public Information Report filed in 2015 Jody Davis is listed as a governing member of the company. His address on the form is listed as being in Farmington, Arkansas. The other governing members listed on the report are Phillip Ridings and Craig Cook. Both of their addresses are listed as being in Jupiter, Florida. According to the Dragonfly Industries website, Ridings is listed as the inventor of the wind turbine that the company has proposed to use in Elm Springs and Cook is listed as the chief operating officer. 5NEWS contacted the address where Dragonfly Industries has its office and was told the suite is undergoing renovation. The wind farm project proposed in Elm Springs would be Dragonfly Industries’ first wind farm, according to the company’s website. Mayor Harold Douthit said he didn’t know about Davis’ criminal history, and said it wasn’t his place to ask. The Elm Springs City Council tabled a motion Monday (Nov. 16) to rezone the property for the wind farm to give council members more time to look into Dragonfly Industries and to address residents’ concerns. A court records search shows Jody Davis also has a criminal record in Arkansas. In April 1999, Davis was accused of violating the Arkansas hot check law, according to records filed in Washington County Circuit Court. In January 1999 Davis wrote himself a check in the sum of $10,000 on an account at McIlroy Bank (now Arvest Bank) based on a deposit from Peoples Bank in Westville, Oklahoma which would later deny payment because of insufficient funds on deposit, the documents state. In June 1999, Davis pleaded guilty and was sentenced to six years probation, according to court records. He was also ordered to pay $10,096 in restitution. Davis satisfied the conditions of his judgement in September 2002, records show. Mug shot of Jody Davis from Faulkner County from 2009. 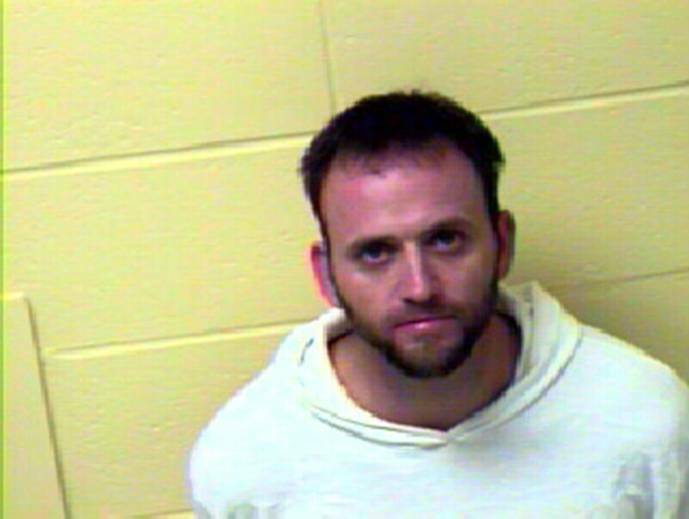 Records show Davis was also arrested in May 2007 in Faulkner County on possession of a controlled substance. He later pleaded guilty and was sentenced to five years of probation. In 2009, just months before he pleaded guilty to federal embezzlement charges, he was arrested on a probation violation, according to court records. In a letter from 2009 to a federal judge, Davis asks the court to let him voluntarily surrender to serve his time in federal prison. In the letter, Davis writes he developed a drug problem four years earlier because of a series of tragic events. He also asks the court to give him time to make sure his ill mother is taken care of and to see his children before beginning his federal prison sentence. As part of his federal prison sentence, the court recommended Davis be put in a facility where he will have the opportunity to participate in the Bureau of Prisons’ Residential Drug Abuse Treatment Program. The court also recommended Davis be placed in a facility as close to Searcy, Arkansas as possible. The closest federal facility to Searcy is in Forrest City. A search of the Arkansas Secretary of State website also shows Davis had three companies in Northwest Arkansas registered in his name: Global Growth Investments, Inc in Fayetteville in 2001, J.D. Davis, Inc in Springdale in 1998 and Star City Collision Center, LLC in Star City in 2009. The licenses for all three were revoked.